You’re about to be whisked away to a watery wonderland by Disney On Ice – presenting Follow Your Heart, centered around everyone’s favorite forgetful fish, Dory! 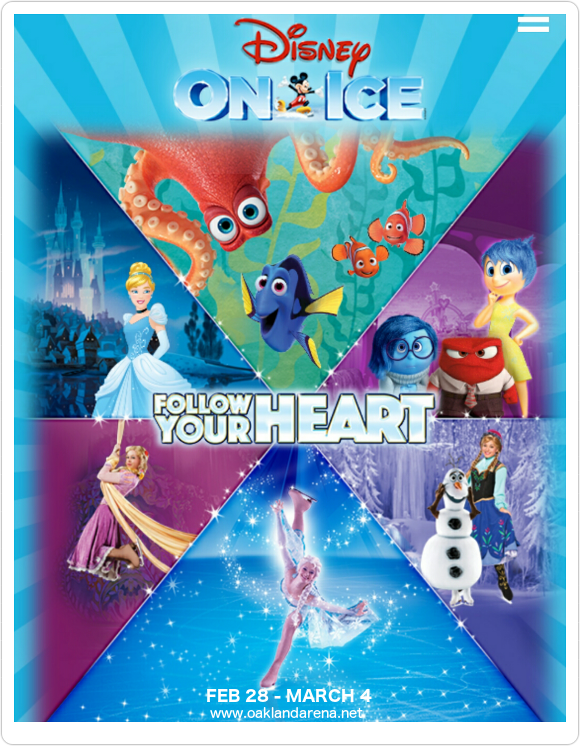 Coming to the Oracle Arena live on Sunday 4th March 2018 and featuring guest appearances from characters across Disney productions old to new, adults and children alike will be enchanted by the lovable characters and breath-taking ice skating! With special projectors transforming the ice into a watery grotto, elaborate costumes and flawless choreography, Disney On Ice: Follow your heart truly pushes the boundaries of what can be achieved in an ice skating show. Prepare to be wowed with a production that will blow you away – book your tickets to Follow Your Heart early to get the very best seats! !